The decision to implement board portal software and embark on the road to change can be difficult and overwhelming. As a board administrator, you may be spending countless hours compiling a board book, juggling cumbersome PDFs, and answering infinite email chains. Board members may be struggling to access board information easily during their busy schedules and ahead of meetings, finding simple ways to communicate with the company and/or board, and using devices which they already use. If you’re thinking about making the leap from paper materials or disparate technology (email, intranet, spreadsheets) to a board portal, we’re here to help you make an educated decision. Reduce labor, printing, and mailing costs by eliminating manual board administration tasks. 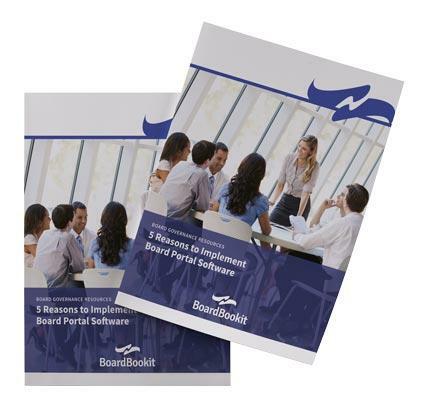 BoardBookit customers report up to a 250% ROI!